A blistering head wreck played at a hilarious pace! It’s not easy to get by in this crazy old world is it? But Fred and Alice have discovered that all you really need are 2 tennis rackets, disproportionate reactions to minor accidents, an immature coping strategy and each other. Fred & Alice is a quirky love story about 2 amazing mischievous characters who meet in a home, fall in love, play rock concerts, move in together, have trouble adjusting, sort it out, all done in their own hilarious way. It wasn’t really a home but Fred always called it a home because that was where he lived, and if you are not living at home then where are you? It was love at first sight for Alice. Fred didn’t talk to her again for years but then eventually Fred got used to her and it was love at first sight for him too. 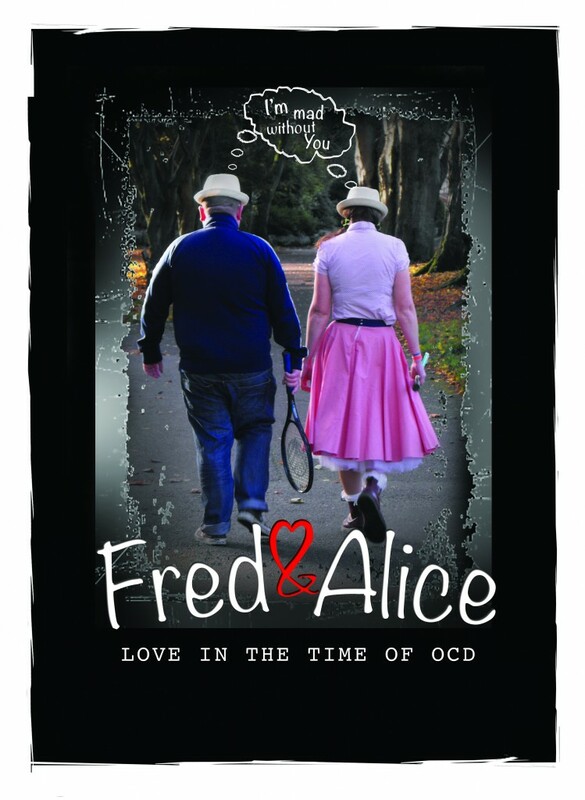 From their days in care, to independent living, Fred and Alice negotiate the perils and pitfalls of life and love. Together they create a fantastical world which spills over into a madcap reality when they decide to move in together. Come see this joyous celebration of individuality. Fred & Alice is John Sheehy’s second play. It previewed in Friars’ Gate Theatre, Kilmallock, Co. Limerick and the Half Moon Theatre Cork and premiered in Bewley’s Café Theatre Dublin in February 2013. It received rave reviews, fantastic audience reaction and Sold Out. It was then invited to a number of venues and festivals in 2013. It was invited back to Bewley’s Café Theatre for a further 3 week run and again sold out. Fred & Alice had over 80 performances in 2013 and was awarded a Touring and Dissemination of Work Grant by the Arts Council which took place between March and May 2014. It then transferred to the Oran Mor, Glasgow, Scotland where it played to packed houses and received a 5 star review from The Herald Scotland. CallBack continued to tour in 2014 and 2015 and was recently made into a radio play by Ocean FM supported by the Broadcasting Association of Ireland. With over 150 performances to date and another 11 venues booked already we are delighted to be back on tour again for SPRING 2017. 2017 performances are currently being planned and the show is still available for touring.